I'm a comedy geek. As a kid, I stayed up to watch Saturday Night Live and David Letterman long after my folks thought I'd gone to bed. I had strong opinions about Lenny Bruce, Richard Pryor, and George Carlin in relation to Bob Newhart and Bill Cosby. I had more comedy albums than rock and roll LPs. I've always thought that a good preacher and a good comedian have a lot in common, and I admire the way that a comic can speak truth to power. In The History of the World Part One, Mel Brooks refers to himself as a "stand-up philosopher." It's a throwaway line, but for all kinds of reasons it resonated with me, then and now. There are lots of places to get news, but John Oliver, Trevor Noah, and Jon Stewart give us something more. If you can be funny, you can do anything, partly because humor involves deep thought, questioning, and the faith that there is something good and even beautiful in any situation. My favorite podcasts are "inside baseball" shows, where comics and other artists talk about their work and process. I never cease to be inspired by WTF, the Dana Gould Hour, Gilbert Gottfried's Amazing Colossal Podcast, and Bullseye. My favorite internet show is Comedians in Cars Getting Coffee, and I wanted to share this episode with you. 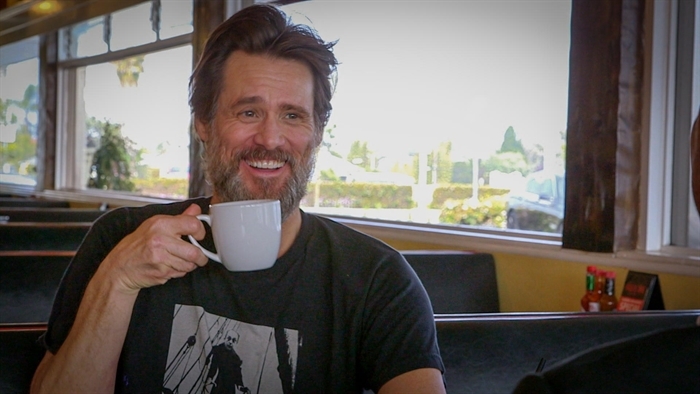 In it, Jim Carrey says some fascinating things about the importance of art and passion, ways to deal with what he calls "the little mind," the nature of identity, and the relative and the absolute (something we call Water and Stone around here). Please take a few minutes and check it out.